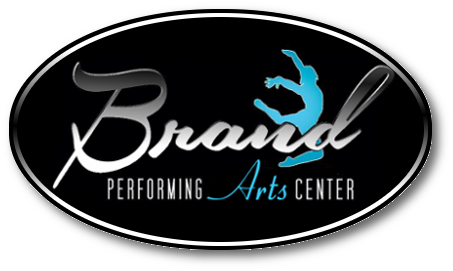 Brand Performing Arts Center, “Dancing for a Cause” featuring B-PAC’s Company Dancers! Since 2005, The Company Dancers of Wilson have had the privilege and honor of raising charitable funds and giving back to the community and surrounding areas. This cause is close to our hearts and something we truly care about. It’s rewarding to see the direct impact Brand Performing Arts Center has with Southeastern Cancer Care. SCC is a non- profit organization established to assist cancer patients who live in Eastern North Carolina. 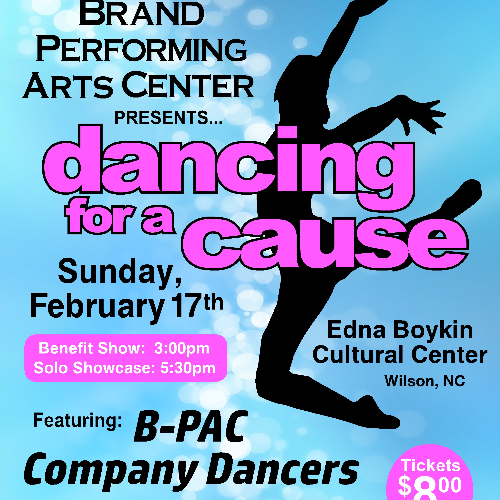 Our benefit show this year is Sunday, February 17th at the Edna Boykin Cultural Center. Tickets are $8.00 per person. ALL PROCEEDS will go to Southeastern Cancer Care. So far we have raised $55,351.00 for South Eastern Cancer Care in 3 years! The funds raised are used to help those who are on active chemo, radiation or within 3 months of surgery. Your financial support will help provide basic living essentials such as gas cards, food vouchers, utility payments and oncology prescriptions. When we choose to give, we unite from different sectors and communities in the name of a common cause. This is a key contributing factor in strengthening communities. The Company Dancers of Wilson are kids that care enough to give back! Thank you for supporting such a wonderful organization! © 2019 WAWtix. All rights reserved.